When I was in elementary school, there was a memorable occasion when the school hosted an exhibit of rare and exotic insects; they were displayed in glass cases in our cafeteria and each class of students got to go in and look at all of the interesting species. Personally, I was fascinated by the shiny/iridescent ones– the blue morpho butterflies and the gorgeously green beetles. I thought it would be so neat to have jewelry or something made out of them, but didn’t think it would actually be possible. It wasn’t until much later that I learned that the beetle carapaces, at least, were historically used to decorate clothing! 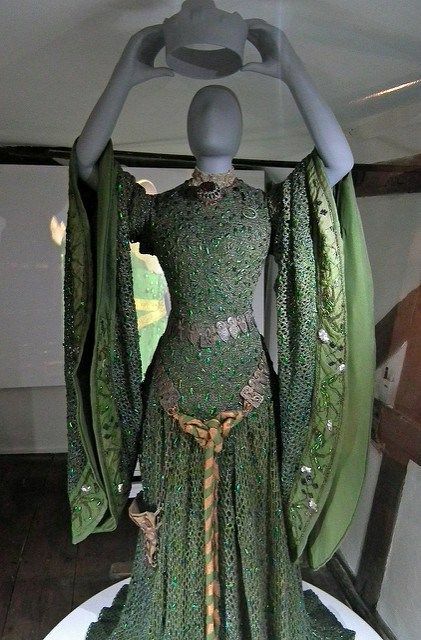 The original costume was recently restored by the Zenzie Tinker Conservation with funds donated to the National Trust, which means there are tons of closeup photos of the costume itself. It doesn’t look quite as fabulous as it does in the painting, or even as it looked over a hundred years ago, but then what does? Anyway, the reason for all this background is that I’m going to make my own version of the Lady Macbeth dress for Costume College this year. (a friend of mine has dubbed it “the Scottish Bug Dress” and now I can’t stop thinking of it that way) The event theme is “What’s That Fabric?” and as the original dress was actually crocheted out of sparkling blue and green yarn, then decorated with beetlewings (both rather unconventional choices), I thought it would work perfectly. Add to that the fact that a group of us is getting together to wear dresses inspired by famous paintings, and it was obvious that this dress had to be made! Edited to add: There’s a great article written by the lead conservator on the restoration process that has some wonderful details, here! So recently I had the opportunity to spend the weekend at a historic home (now an inn) in Vermont for a Sense and Sensibility-themed event. I’ll be honest, as an event it left something to be desired– there were very few activities and the scheduled sleigh ride was cancelled due to weather– but I did enjoy getting to dress up with all of my gowns and accessories and take photos with some more period-looking furniture than I can find here at home! Here’s me channeling Mary Bennet while wearing the very first Regency gown I ever made, plus the new day cap. Here are the velvet capote and fur-trimmed wrap in action! Admittedly, there are a lot of pictures of me reading books (this one is an antique edition of The Lady of the Lake and there’s a handwritten inscription on the flyleaf dated 1899), but I needed a prop so I could do something other than smile at the camera! 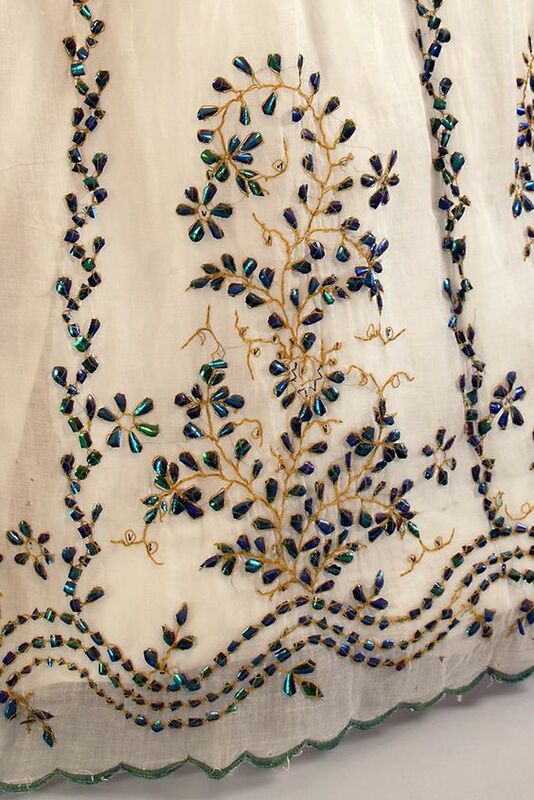 1860s Embroidered Ballgown, Part VIII: Finished! 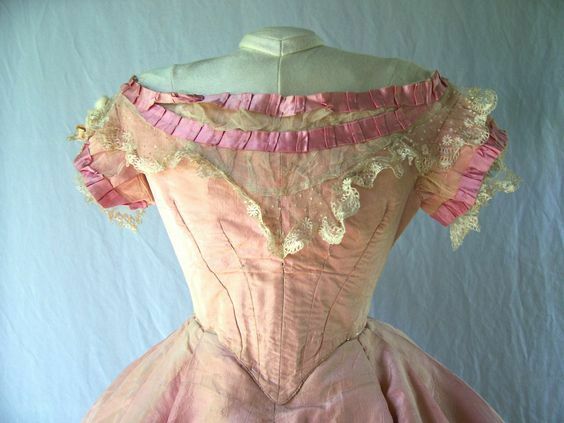 So at last my 1860s ballgown is finished! I got to wear it, hoop skirt and all, to a Victorian ball this summer, and it was a hit! It took a little getting used to, dancing with such a gigantic skirt, but it was just so much fun! Besides my floral hair wreath, I accessorized with some simple pearl earrings (leverback, so not technically historically accurate, but close enough) and a blue cameo strung on a black velvet ribbon. I also had short white gloves, but had abandoned them by the time these pictures were taken– just as well, they kind of made my hands blend into my skirts, which looked weird. All in all I’m very happy with the dress– it’s got just the right silhouette and the embroidery makes it extra-special. Looking forward to wearing it again sometime! 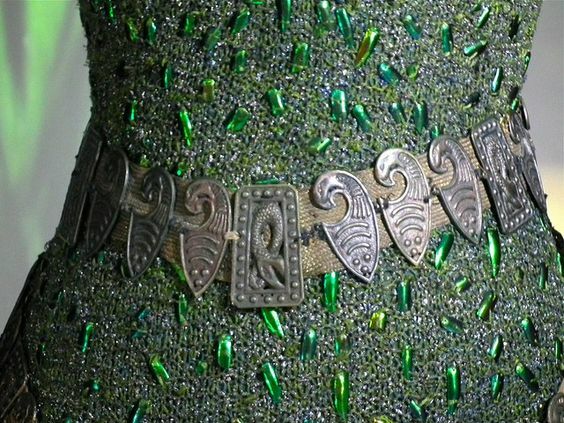 So as you recall, I had some issues with the seams rippling in my bodice— I wasn’t sure what was causing it, but after some consultation with other costumers online we determined that it was likely due to the bodice being too long. The extra length was being pushed up and forwards by the curve of my skirt, causing the seams to buckle. One way to remedy this issue is to fix the shape of the bottom of the bodice– since the original pattern hadn’t provided a stitching line or directions for how to shape it, I’d just done a basic pointed bodice, front and back. 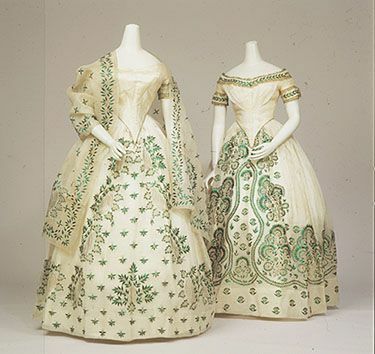 However, closer examination of the fashion plates and extant gowns showed that pointed bodices back then had an entirely different shape– much more curved, with a distinctly long front point when compared to the rest of the bodice. This allows the skirt more room to bell out without pushing out the bodice edges. I removed my piping and adjusted the shaping of my bodice hem to get it closer to that high arch on each side of center front– I couldn’t make it nearly as extreme as the example above, but I think it’s a little better– besides, not all period gowns had the extreme arch shape anyway. In case you hadn’t noticed, my recent spate of costume posts was inspired by my upcoming trip to Costume College this year. I went this past weekend and it was fabulous! Also, my daughter sent her Cat-icorn (above) with me to keep me and my tiaras company. These are totally my people– detail-obsessed lovers of gorgeous and/or hilarious outfits, willing to discuss the intricacies of fabric design or corsetry at the drop of a hat, and always appreciative of the work we all put into these things! I can’t wait to go back next year! I did take a few photos of randomly beautiful costumes, but not nearly as many as I should have. Also, I was wearing gloves for two of the big events and it’s a lot harder to manage taking pictures with my phone that way. Next year, fewer gloves = more pictures! Once the gown was structurally complete, I had to finish the edges. I first cut out a standing collar from turquoise dupioni– the original collar went all the way around to close at center front, but I wanted to keep the lace ruffle visible at the neckline so I shortened it to more of a 3/4 collar that stopped at the front edges of the lapels. The original instructions called for me to attach the facings first, then the collar, so I cut out facings from more turquoise dupioni and stitched it around the front opening of the gown. The problem, however, was that the lined Watteau pleats were so thick at the back of the neck (10 layers in the pleats alone at center back!) that once the facings were added it was almost impossible to turn the seam allowance to the inside. I could manage it, but it made an uncomfortable and unsightly ridge that dug into my neck. Instead, I decided to change things a bit and sandwich the seam allowance of the Watteau pleats inside the collar rather than turning it over. The seam allowance can lie flat (pointing upwards) instead of being folded downwards, making it much more comfortable at the nape of the neck. I will note that I only did this along the center back section, where the pleats were– once I hit the shoulder seams I transitioned back to the regular method. I stitched the facing on after the collar was attached, so the facing would lie flat on the inside rather than flipping up like the seam allowance.